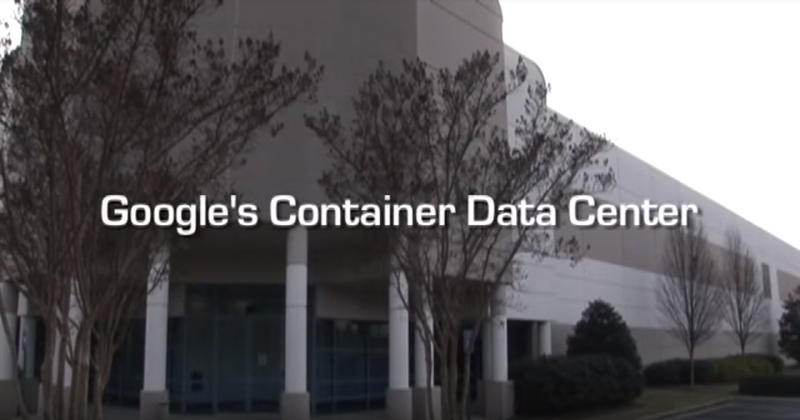 There are slots for over 45,000 servers in the 45 shipping containers housed inside. 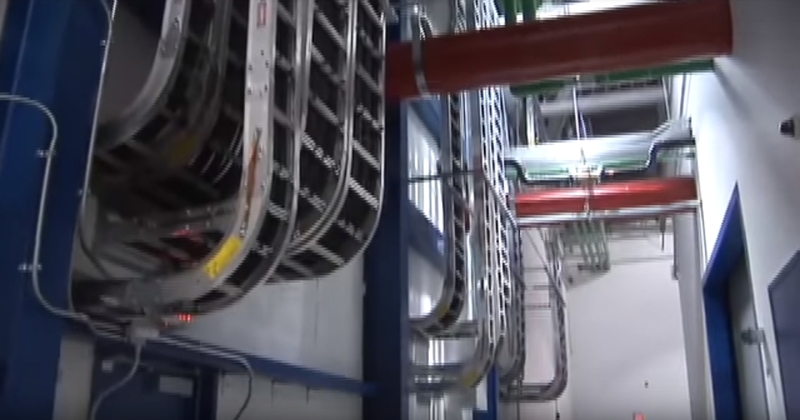 The data center itself went into service in 2005 and supports 10MW of IT equipment load. It has a trailing twelve month average Power Utilization Effectiveness value of 1.25. We start with the plan view, and focus in on the equipment yard we will be visiting. 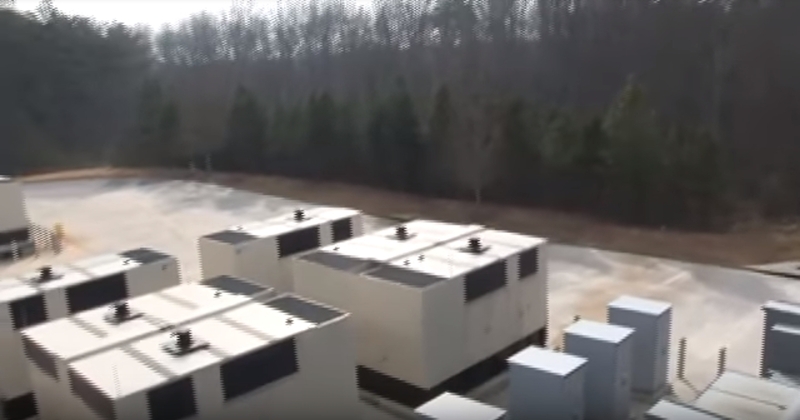 Here, we see the cooling towers, the power distribution centers, and the generator farm.Our first "action" shot shows water flowing down the cooling tower fill. The plant itself is designed to maximize water-side economization through a combination of elevated process water temperatures, low-approach temperature plate and frame heat exchangers, and a chiller bypass path. 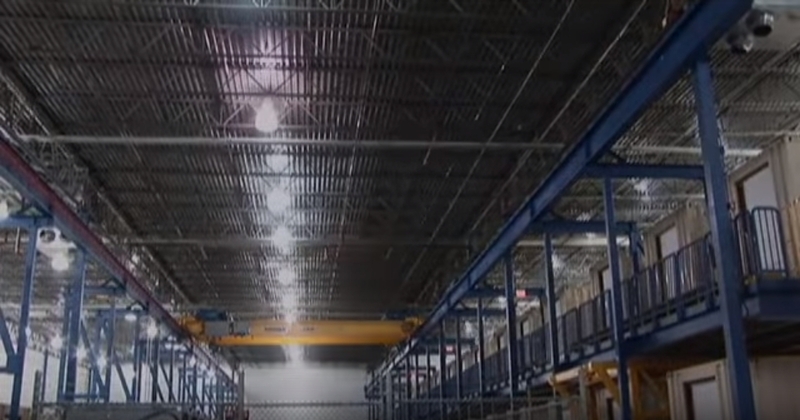 As we swing over to the electrical yard, we see a medium-to-low voltage distribution center. 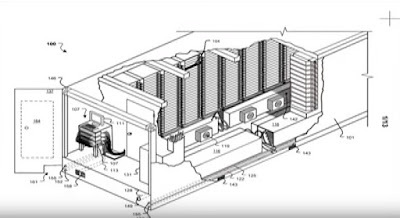 The transformer itself is not exotic, but boasts a better than 99.5% efficiency, as evidenced by the relatively small cooling radiators attached to it. 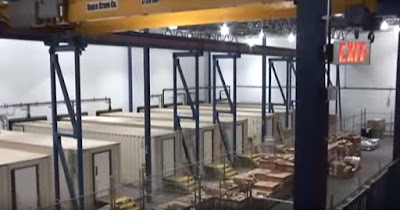 As part of the distribution center, the transfer switches serve to connect the generators seen here. 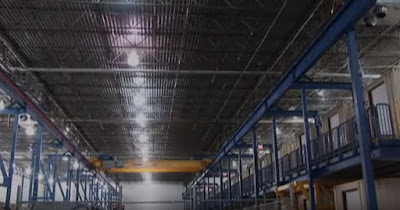 Eventually, theoutput of the distribution center is run into the building through these low voltage cables. Plant tour - Here we begin the plant tour. 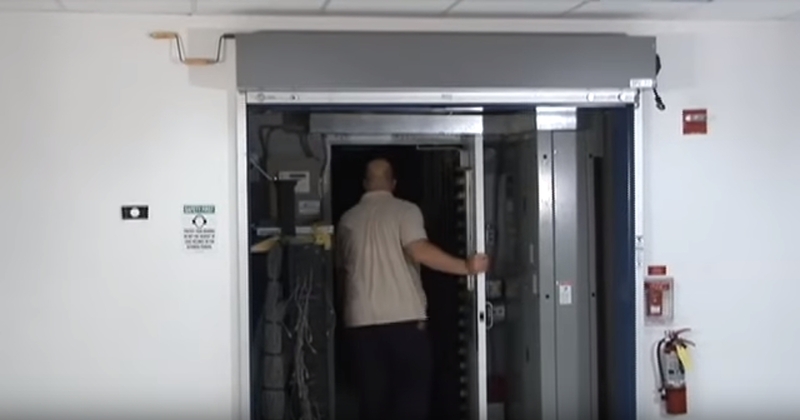 Stepping inside the building, we again pick up the low voltage distribution lines. 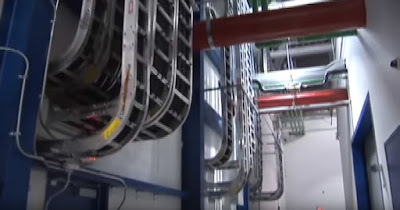 Cable routing takes place in these standard trays that eventually head off for connection to the shipping container switch panels. We now step into the cooling plant. 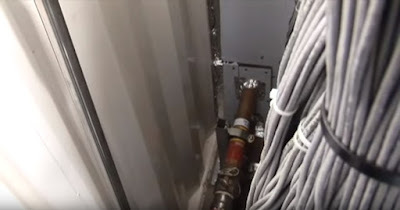 As we pull back, weget an overall view of the web of piping required to connect all the equipment together. 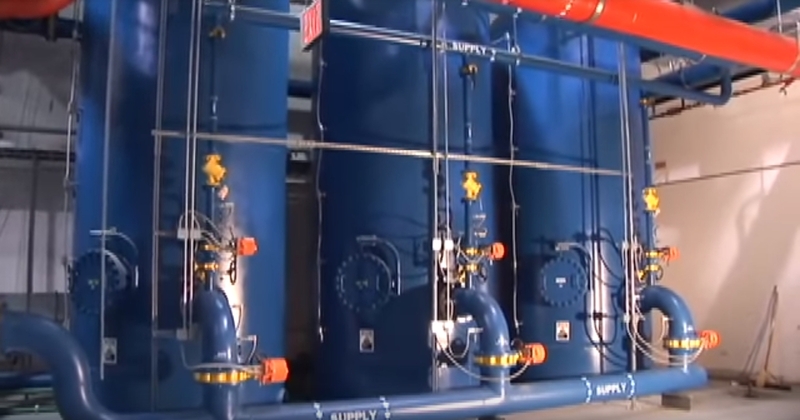 As the water returns from the cooling towers, aportion of it is taken off and directed through a side-stream filtration system, before being returned to the loop. Continuing on, wetrace the piping down to the array of pumps where we see that we experience our share of leaks :) Of course, when we talk about cooling plant efficiency, the chiller uses the most power and is therefore our biggest target. And an important part of reducing chiller hours is the use of plate and frame heat exchangers with their low approach temperature characteristics. 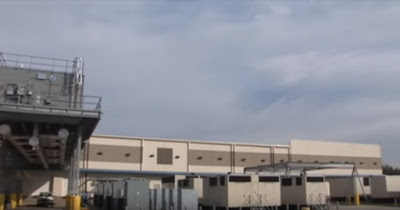 We conclude the tour of the plant, with a shot of the thermal storage tanks and the distribution piping that carry the water to the shipping containers. 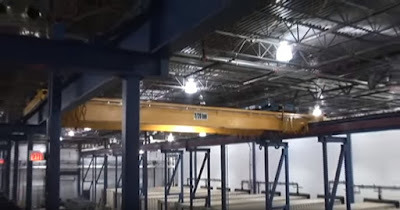 Hangar Tour - The hangar tour starts with a shot of the bridge crane used to move the shipping containers. As we pull back, we get a view of the single-story side, which is more-clearly seen from a vantage point on the mezzanine. There are 15 shipping containers on the single story side and 30 on the opposing stories. 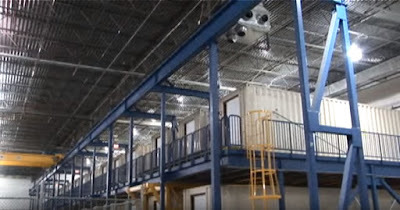 Amongst the safety considerations in using shipping containers, we include emergency exit stairs and egress pathways as required by code at the tail end of the units. This final view gives an idea of the scale of the hangar bay. In this segment, we follow one of our technicians to the shipping container, where he is dispatched to perform a server replacement. Here we see him making his way on his Google-provided, personal transportation device. He must first verify the machine location. 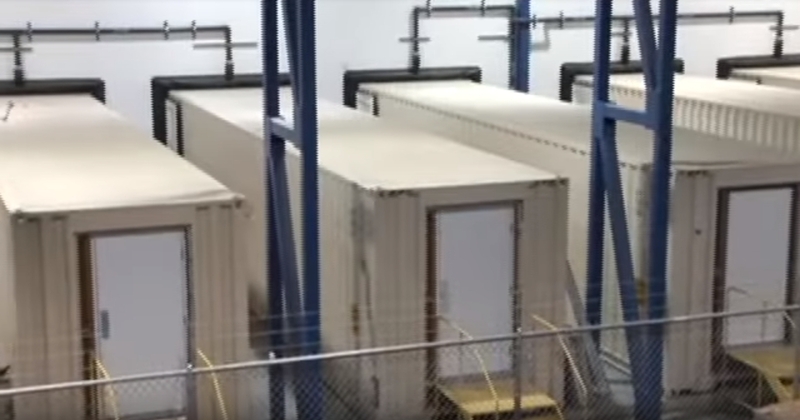 As you see here, each tray is outfitted with with onboard UPS running at greater than 99.5% efficiency. Now, once inside, our technician removes the tray blank and installs the repaired server tray. The cold aisle inside the shipping container is maintained at approximately 27C, or 81F, enabled by attention to good air flow management. 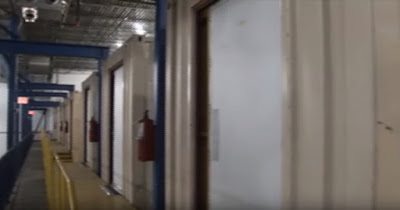 Another technician is entering the shipping container to inspect the underfloor area. As he lifts the floor grate, we get a view of the flex hoses,power conduit, and fans used for cooling. In fact,there are many more system details designed into the shipping container as shown in this isometric cutaway. This shipping container cross-section view detailing the tightly-controlled air flow path. As we step out once more into the vestibule area, we see the hookups bringing water into the shipping container. On the other side, we find the electrical switch panel. And inside the panel, we trace the cable inputs, into the breaker section, and get to see some of the circuit transformers used in gathering our PUE measurements. All in all, there are many additional support systems required to satisfy the safety and occupancy requirements of the shipping container including emergency off buttons, fresh air supply, fire detection, fire suppression, smoke dampers, and much, much, more. We end our tour with another view of the hangar, and a summary of the best practices incorporated into this shipping container data center. Recapping, on the electrical side we saw the use of high-efficiency transformers and UPSes, along with the necessary circuit transformers for accurate PUE measurements. 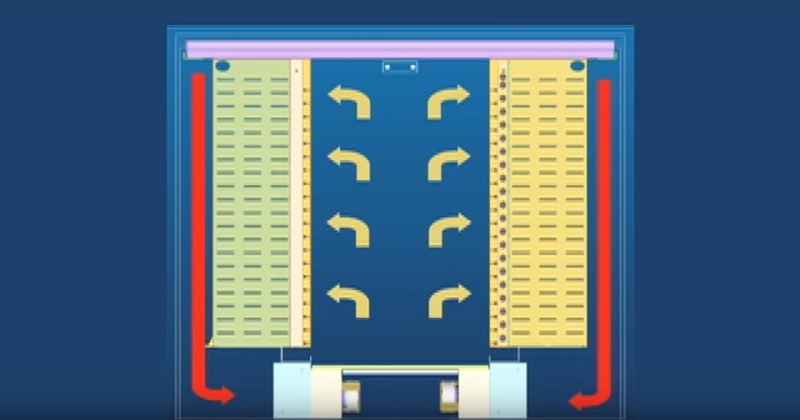 On the cooling side, we touched on many aspects designed to allow raising of the temperature inside the data center and the associated reduction in chiller usage hours. 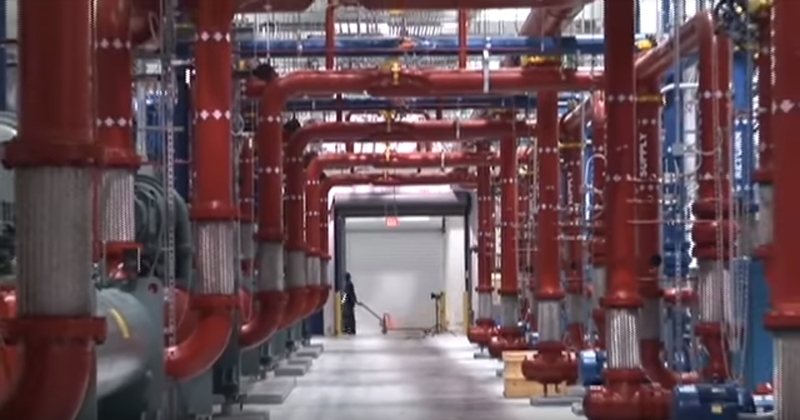 One last thing to note,the best practices we've presented here are the main reason we've been able to achieve our PUE results, and can be implemented in most data centers today. 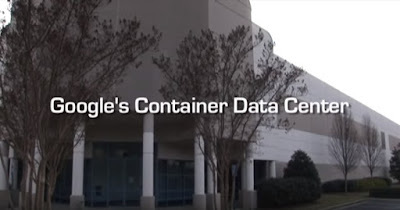 Information Week Google Wins Patent For Data Center In A Box; Trouble For Sun, Rackable, IBM?